Unknowingly, this is a rare specimen and very expensive too, but my initial reaction was that its appearance can grab a beholder's eye and mind with artlike features in such a small piece. 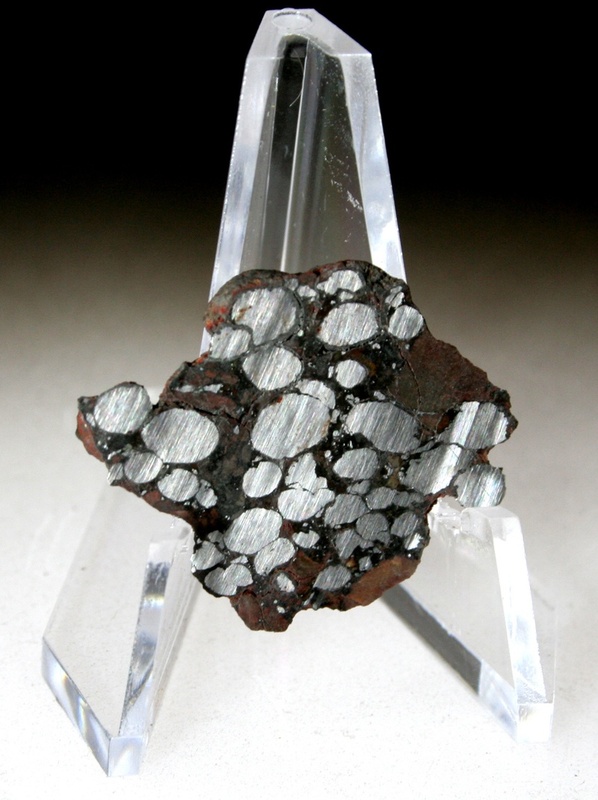 Metal nodules on a stony matrix. My opinion is that this should be classified as a stony-iron. Eric Twelker should be credited solely for bringing this lovely meteorite to the international market, or out of Nigeria. This meteorite costs more than gold!